Teens in Windhover Hall. Screenshot from teens’ final project video. While other teenagers spent their summer sleeping in, playing video games, and eating junk food, I was given the wonderful opportunity to work behind-the-scenes at the Milwaukee Art Museum along with fifteen other high schoolers. We met employees, worked on resumes and cover letters, viewed the 30 Americans exhibit, and eventually, broke into four separate groups of our choosing. Some of my co-workers operated in the library; others volunteered with visitors. Another group wrote blogs for the museum. My group focused on producing the video and bringing together our classmates’ ideas. 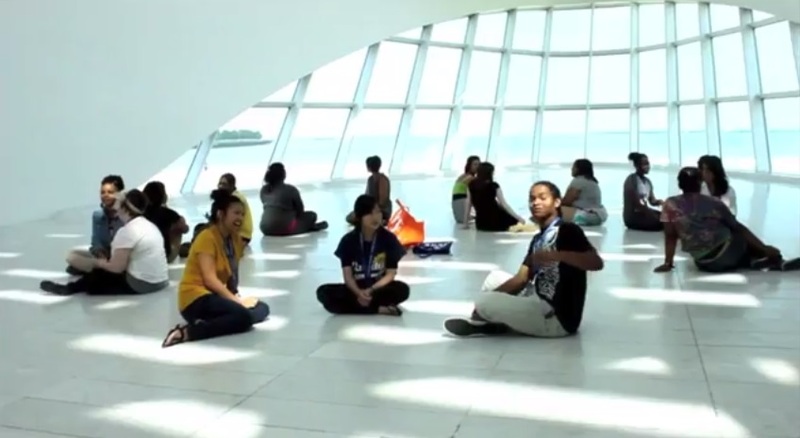 We had to create, direct, and film it, showing the significance of the Milwaukee Art Museum. Sure, it sounds simple, but when you have to consider the opinions, thoughts, and the ideas of not only your three co-workers, but a passionate camerawoman and your boss, things get complicated quickly. Yikes! Despite the huge responsibility, my team and I had a lot of fun working on the project! 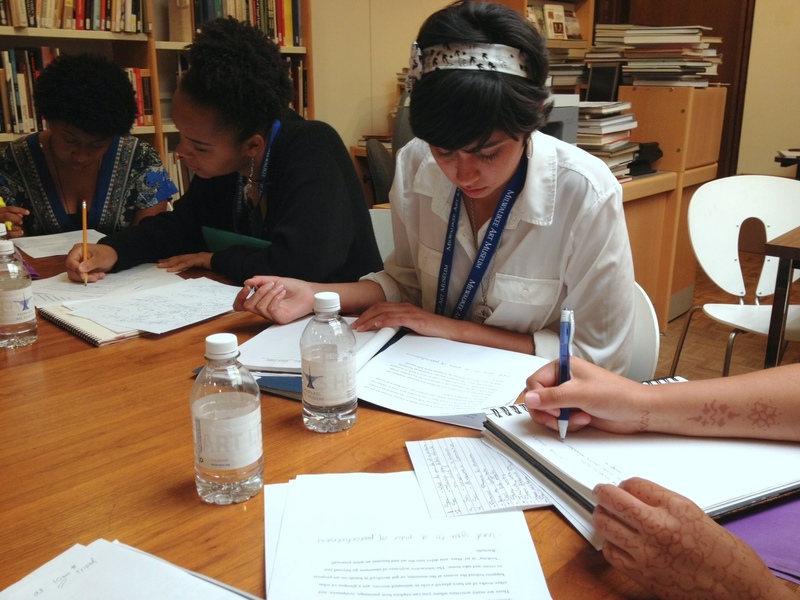 First, we gathered ideas from ALL the interns. This way, everyone was involved and had a voice. Secondly, we selected the strongest points and corresponding images to use for the video. This was perhaps the hardest part. Sometimes, we would think of HUGE concepts that needed to be simplified, or even cut out completely. Not to mention, we constantly fretted over the idea of copyright. There were so many beautiful masterpieces we wanted to film, but could not because we wanted to respect the artists’ rights. Rosella in the galleries. Screenshot from teens’ final project video. After only four weeks, the sixteen of us had grown close and even managed to agree that museums are for many things. No, museums aren’t just buildings that gather old stuff. Museums help us connect, learn, and grow not only as people, but as a community. It brings together people who would most likely never meet or cross paths otherwise. The museum helps us all remember the little things. It captures the human experience through paintings, sculptures, and other forms of art. Most importantly, the museum is a place we all can find something special in. The museum is for us. 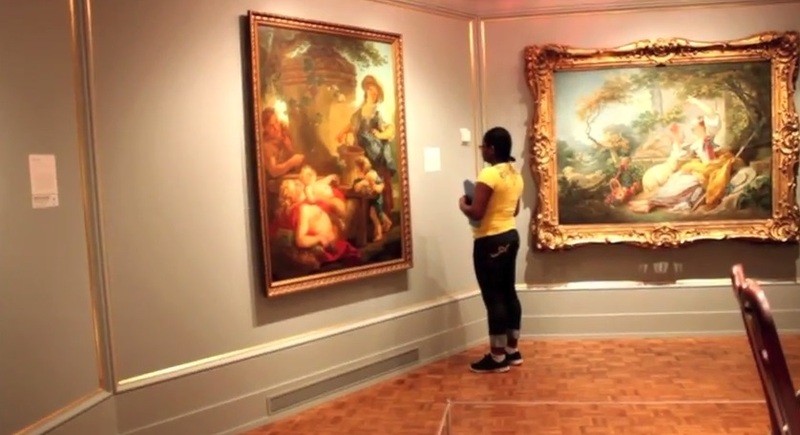 Michaela was a Summer 2013 High School Intern at the Milwaukee Art Museum. This entry was posted in Behind the Scenes, Education and tagged Milwaukee, Milwaukee Art Museum, ted-ed, ted-ed clubs, Teen Programs, teen voice, Teens. Bookmark the permalink.